The 8th and penultimate round provided plenty of exciting games and drama. Before the round, Constantin Lupulescu lead with a full point ahead of several players. Gawain Jones had a chance to catch up with Lupulescu when facing hiim in the 8th round but would have to do so with the black pieces. The Grunfeld perhaps came as a slight surprise and another surprise was the aggressive play of Lupulescu in a situation where a draw would be a great result. This win puts Gawain in position for this first ever Reykjavik Open win and also places him over 2700 for the first time in his career! Another crazy swingy game was Loiseau vs Parligras. The Frenchman seemed to be finding all the right moves but small mistakes added up and Parligras managed to swing the game in his favour. The final round kicks of at 11:00 local time (GMT). Parligras will have the white pieces vs his compatriot Lupulescu while Jones will have white against Erwin l’Ami. Local legend Johann Hjartarson will face the future star Alireza Firouzja. 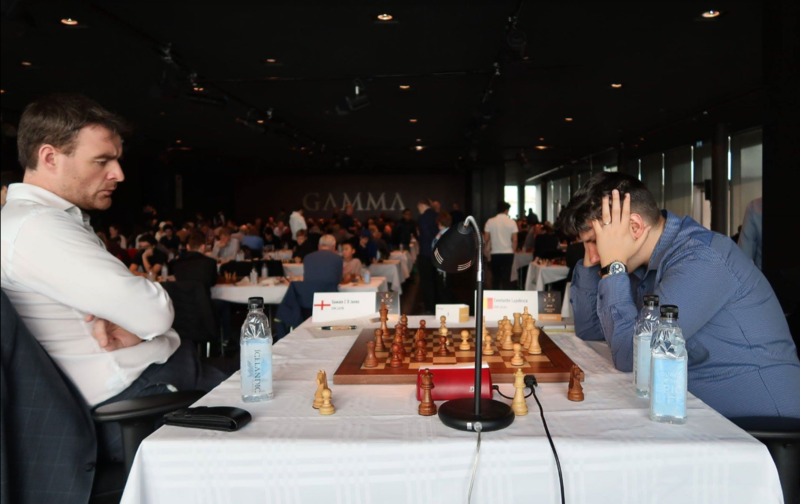 Reykjavik Open 6th round report – Lupulescu takes the lead amidst draw shortage!